Khloe Kardashian will never apologize for her past, as it made her who she is today. The 31-year-old reality star has had colorful history, including an arrest for driving under the influence back in 2007. She has turned her life around since then though, and posted a lengthy message on Instagram explaining her "self-love mentality" has contributed to her happiness. "Don't apologize for your past for it made you who you are today," she wrote. "Make your past fuel your future and the way you choose to live. Be in the now! When your intent is to love yourself rather than abandon yourself, you start being able to feel compassion for your past choices. You will start to be proud of the progress you've made in life. "Instead of letting your past control your present let it fuel your daily evolution to greatness. Don't look at your past as a mistake. Look at how far you've grown and be grateful. You will finally begin to grow and elevate to a better you. You define your worth! Don't ever give anyone else that much power over yourself. Less judgement—more dynamic unbiased self-love," she preached. 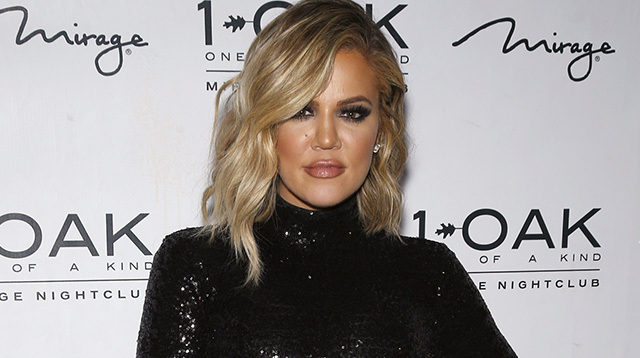 Khloe has been instrumental in helping her estranged husband Lamar Odom in his recovery after he was found unconscious in a Las Vegas brothel in October 2015. Despite the pair no longer being in a romantic relationship, they remain close friends, and Khloe added that she has learned her happiness should not be contingent on someone else. "So many search for others to make them feel whole. Try to stop searching for your missing pieces in other people or material things. Self-love or personal happiness should never be contingent on success because there are always failures to contend with no matter what level. Self-love is dynamic and runs deep. When we act in ways that expand our self-love, we begin to expand our minds. We start to notice the parts we once abandoned. We will find dimensions of our soul that needs attention too. We begin to know exactly what we deserve and we shouldn't settle for anything less."